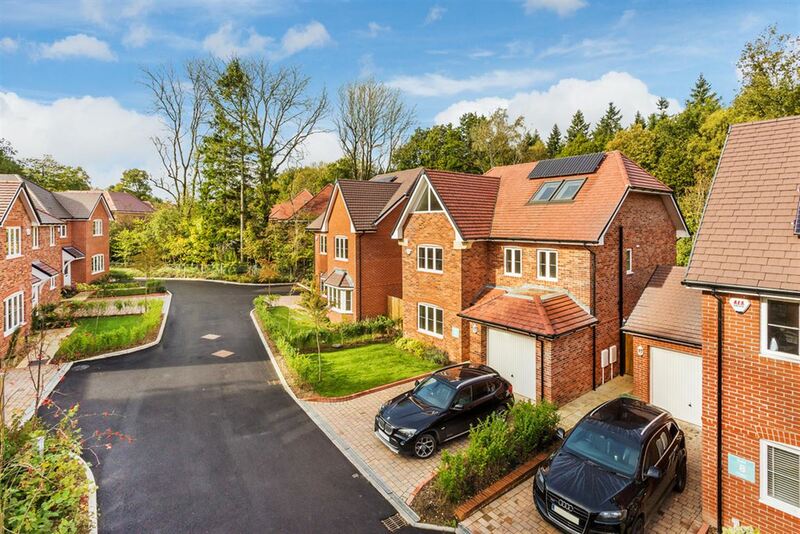 A newly constructed five bedroom detached home built by Kebbell Homes to a high specification and located within a select cul-de-sac position, conveniently situated for the A31 in Four Marks. This property has a 19' living room, dining room, kitchen/breakfast room and a downstairs cloakroom. To the first floor there are three bedrooms, a family bathroom and an en suite shower room and on the second floor there is two further bedrooms and a bathroom. 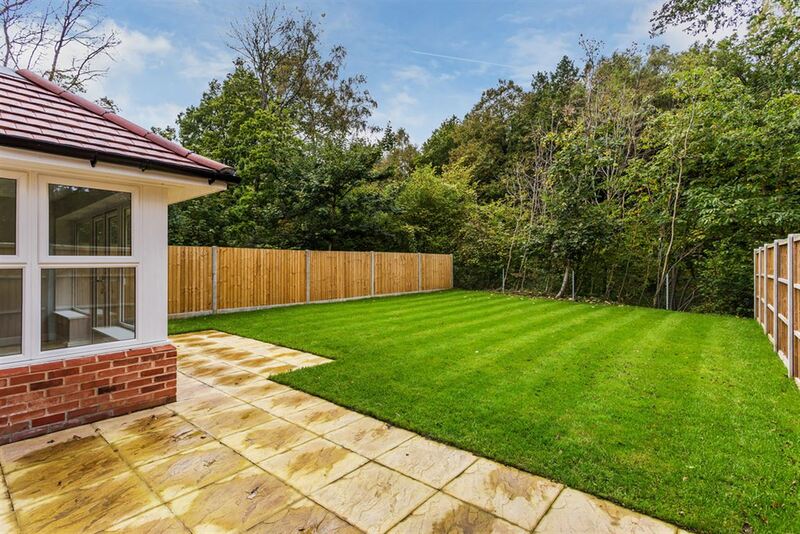 Additionally there is garage and driveway parking and a landscaped garden. This property is being offered with no onward chain and a 10 year structural guarantee. Enter the property into the spacious entrance hall which has ceramic floor tiles, doors to the various rooms and stairs to the first floor. Positioned to the left of the hall is the dining room which has a front aspect window. Positioned to the rear of the hall are the living room and kitchen/breakfast room. The living room measures an impressive 19' and has a gas point for a feature fireplace and rear aspect doors providing access onto the patio. The kitchen has a full range of wall and base units with Quartz surfaces over, a stainless steel sink and drainer unit, AEG wall mounted oven and microwave/oven combination, dishwasher, fridge/freezer, four zone ceramic hob, extractor hood, ceramic tiled floor and rear aspect doors onto the patio. Completing the ground floor accommodation is the cloakroom which has a WC and a wash hand basin. Off the hall there is also internal access into the garage which has an up and over door, plumbing and wiring for a tumble dryer and washing machine. To the first floor there are three bedrooms, all of which have built in wardrobes. The master bedroom enjoys views over the rear garden and has an en suite, the en suite has a shower cubicle, WC, wash hand basin, part tiled walls and a side aspect obscure window. Completing this floor is the family bathroom which has an enclosed bath unit, separate shower cubicle, WC, wash hand basin, part tiled walls and a front aspect obscure window. To the second floor there are two additional bedrooms, both with built in storage. The fourth bedroom has a feature window overlooking the garden and Watercress Line. The fifth bedroom doubles up as a study and has a front aspect window. Additionally there is a recreation area with a front aspect window. Completing this floor there is another bathroom which has an enclosed bath unit, separate shower cubicle, WC, wash hand basin and a rear aspect obscure window. To the rear there is a landscaped garden with an area of patio immediately off the property, side access and an area of lawn. To the front there is a further landscaped area and driveway parking. 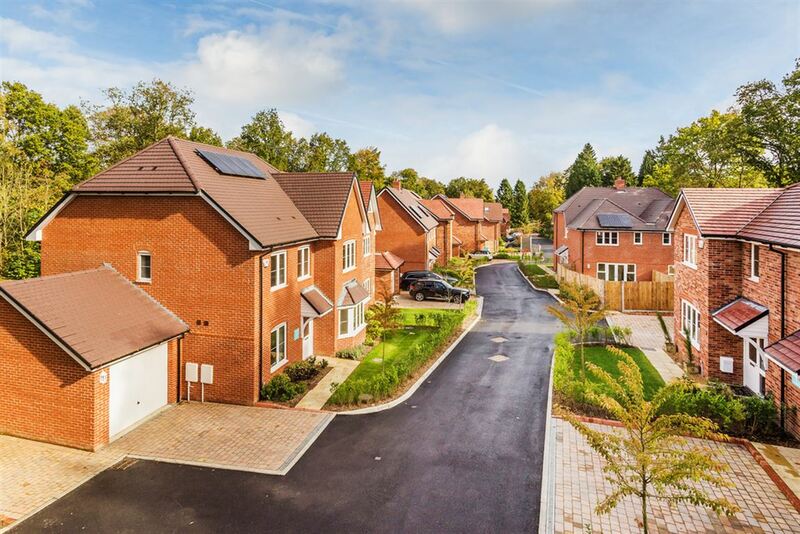 Please note the internal photos for this plot have been taken from plot 2 (the show home), the external photos are accurate of this plot. Full details of the specification can be provided upon request.